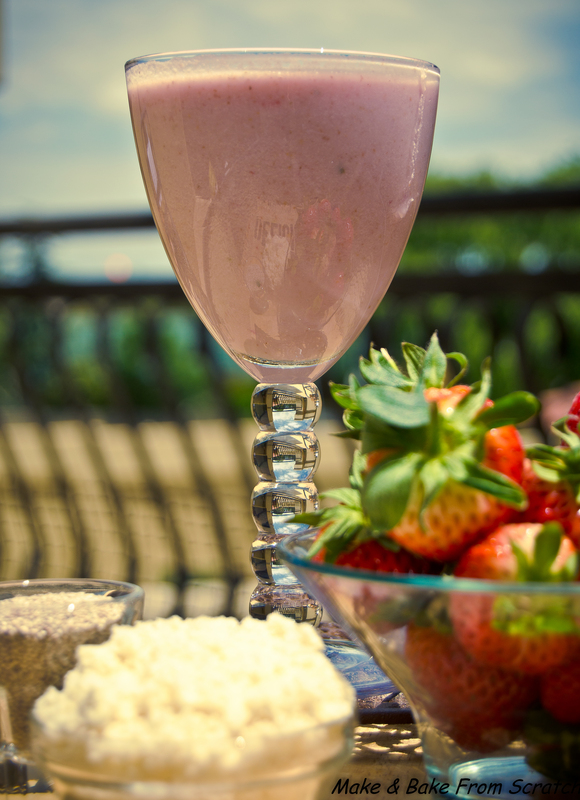 This is a smoothie I love to drink as a mid-morning or afternoon snack. Its taste delicious and will fill you right up! Strawberries are nutrient rich and packed with antioxidants like vitamin C. Coconut milk and Almond milk will add healthy fats to the smoothie and very little sugar. Almond meal is high in protein, manganese, potassium, copper and vitamin E. Chia seeds add protein and are great for your digestion. I use Stevia to sweeten it up. Stevia is a natural alternative to sugar (see stevia conversion table below). Wash and chop strawberries. Add all the ingredients to the blender. Blend to a smooth consistency. Pour the mixture into a nice glass, add some ice cubes and enjoy the dream! You can play around with the ingredients by adding vanilla powder, vanilla essence or a scoop of whey protein powder. Add blueberries/raspberries instead of strawberries. All natural raw peanut butter would be a fantastic addition to boost your healthy fat intake. Try adding carob powder, coconut butter or fresh mint leaves. Tease your taste buds!